173,000,000 people watched the Beatles perform on the Ed Sullivan Show in 1964. After that appearance they exploded across the world. 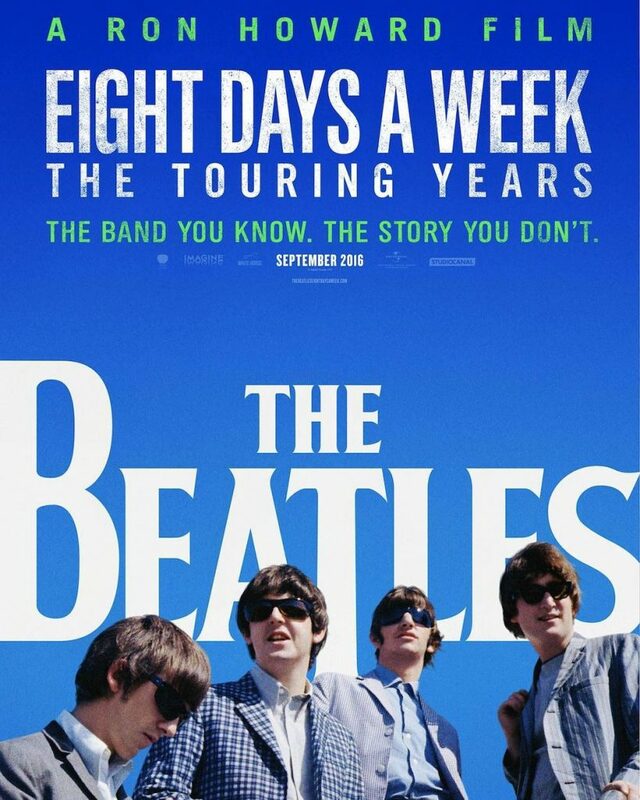 THE BEATLES EIGHT DAYS A WEEK is a fresh new look at the touring years of the Beatles with performances beautifully restored for the film and none of the energy diminished. Director Ron Howard lovingly tells the story in such a compelling way you fall in the love with the Fab Four all over again. Rated M for course language. Running time 2h 17m. Screens Thursday 4th May at 7pm. Tickets available through 123tix.com.au. Just search “Eight Days a Week Classic Concert Filmfest”. For more info contact john@stagingpost.com.au or phone/txt 0408 022 571.